Even five years ago graphic tees, funny, considered the prerogative of the teenagers and «not played enough in childhood» adults. Now everything has changed. Popular brands have introduced the fashion of tops with graphic prints without a drop of doubt and combine them with everything: jeans, office trousers and skirts, even ornate. How to wear a graphic tee to us, far from the podium to people? Here are some realistic ideas. Suppose that the graphic tee with jeans is not shameful to wear either a teenage girl or her mother. But in the case with the image of an adult woman is one little «but». Attire should complement the classic jacket a la Chanel from the «conservative» material like wool or tweed jacket or a men’s cut. We advise to choose ripped jeans or jeans with scuffed to get interesting ensemble. Shoes and bags for that kind of graphic tee outfit should be stylish and look expensive. If you go to holiday, but democratic in terms of dress code an event (family celebration, modern theater, in a cafe with colleagues, etc. ), obviously you want to look good, but not too pretentious. Just for these situations fit graphic tees, because it will help to make the image a little less elegant «pathetic» and more relaxed and everyday. Pick up a skirt to your taste. This can be a magnificent «half-circle» retro or classic pencil skirt, but of shiny fabric (for example, embroidered with sequins). 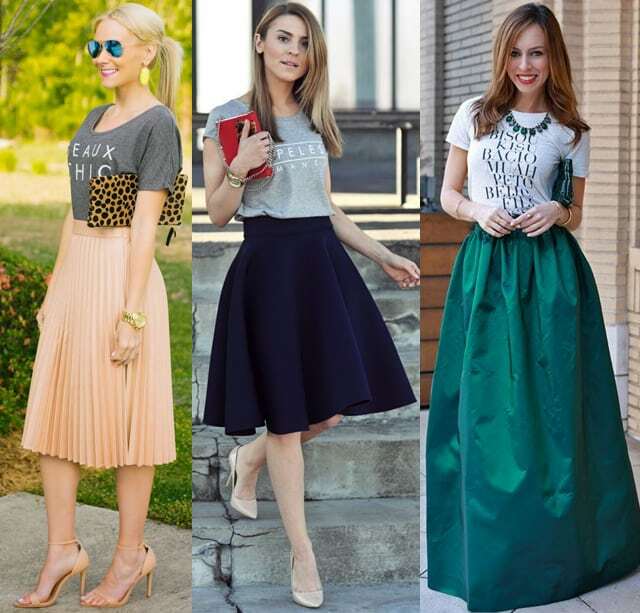 The laconic style of the skirt, the «richer» to be cloth. Graphic tee + maxi skirt = creative tandem for publication. Go ahead, show that you have good taste and sense of style. Do not be afraid to appear at an evening event in a dress. You are young and beautiful. When, not now dare to bold experiments. Graphic tee can look good in an summer work outfits, if properly «fit» in the business style. Choose a neutral color shirt. It is desirable to white with black print. 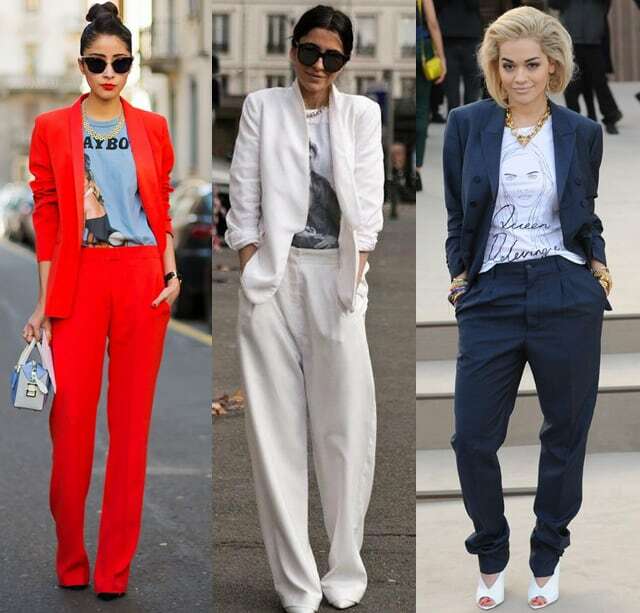 Complement office trousers or skirt and blazer strict. Connect the way together to help a short necklace. The rest of the accessories, including bag and shoes should be concise and not to attract undue attention. «Nail» of this dress — shirt. Graphic tee with pantsuit is ideal for the job. 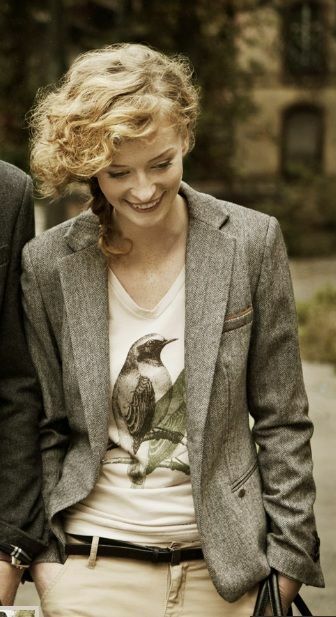 If you want to add a bit of lightness and «girly» your business image, then dilute your pantsuit was a tee. In this season’s fashion cropped tops, which are usually wearing not only a sleeveless dresses or jackets, but on top of tees and shirts. Free Graphic T-shirt, too, can play a role of such a stamp, if you wear it over a shirt and tie in a knot casually at the waist. Complement this outfit can be a daily «bottom»: jeans or denim skirt. It is a perfect image for a weekend in the city. As you can see, it is not necessary to have a penchant for outrageous clothing that fits well in your wardrobe graphic tee. White graphic tee under plaid shirt with black pumps is an ultratrendy cocktail – a drop of hooliganism successfully diluted the sea of femininity!